Gerresheimer has a very broad standard product range for ophthalmic applications for the pharmaceutical market and we can easily cover our customers’ needs. Using our ideas and extensive experience to produce high-quality and user-friendly packaging solutions enable us to become an innovative partner, who understands patient safety and therefore our customers’ requirements. We can offer stable, robust, reliable and validated processes and because of our standardization procedures we can secure LEAN processes towards our customers. Our uniform processes and machines have a positive influence when production has to be transferred to another region and can therefore easily be done. Our Dropper bottles – System A (LDPE) consist of 16 sizes ranging from 2 ml to 360 ml bottles. The wide choice of bottles together with the variety of droppers, nozzles and caps makes the range fully adaptable to the individual requirements of the customer. Our assortment of accessories includes different dropper solutions adjusted to requested drop size and adjusted to liquid viscosity. 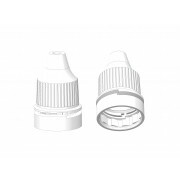 Tamper-evident caps can be delivered as a screw cap, as a wing screw cap or as a child-resistant screw cap. DropAid is an application aid for daily use. 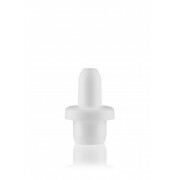 It helps dropper bottle users to open the bottle and, when placed on the bottle neck, it makes it easy and simple to positioning the dropper correctly above the eye to ensure easy, precise and correct medication. Radiation or ETO sterilization is on request, meaning we offer logistic and organizational activities with ordering and sending products for sterilization. Our customers have full responsibility regarding sterilization, validation and sterility assurance.